Comedy Hotspot | For the best in live stand-up comedy. For the best in live stand-up comedy, check out our forthcoming events. Life can be too serious right? Buy a ticket, sit back and let the Comedy Hotspot Team deliver a great night of fun and laughter. 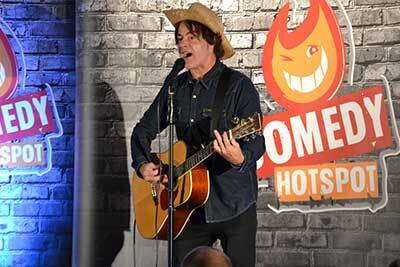 The Comedy Hotspot at your Venue? Jim and Nick are passionate about delivering memorable comedy nights. For a free consultation, or any general enquiries, please get in touch. Want to be kept up to date with the latest gigs and special offers? You’re in luck, join the Comedy Hotspot Community today we promise we won’t spam you. With a super confident playful personality oozing charisma, Rudi’s infectious charm has made him a desirable commodity. Using his sense of humour and razor-sharp material, Rudi has built an outstanding list of Radio and Television projects with his headline performances at esteemed venues across the UK. Recent television and media projects include; Get me the Producer (Ch4) and Funny Business (BBC2), plus a nationwide project with Mediatheme hosting the most comprehensive comedy entertainment system to date. Working closely with the Combined Services Entertainment (CSE), Rudi has toured in Afghanistan, Iraq and Bosnia, keeping the troops entertained all over the world. A charming character, Rudi is loved wherever he performs. Rudi has also presented awards and performed at high-profile events for companies such as American Express, British Telecom Heinz, Diageo and Coca-Cola. As former integral part of the Perrier award-winning show Otis Lee Crenshaw and the Black Liars, with comic/songster Rich Hall, Christian’s career has taken him around the world three times. On his way, he received accolades at international festivals and numerous network TV credits in the USA, Australia, New Zealand and Britain. Now a solo stand-up performer and playing all the major comedy venues in his own right, Christian uses his dynamic guitar and vocal skills to target histrionic rock bands, musical theatre and morose indie musicians. He recently wrote and performed for ‘That Was Then This Is Now’ (BBC Radio 2) as musical counterpart to Richard Herring and Emma Kennedy, as well as giving his improvisation skills an outing on Radio 2’s ‘Jammin’. Christian’s comic songs, improvisations, sharp wit and youthful energy have delighted audiences wherever he performs. 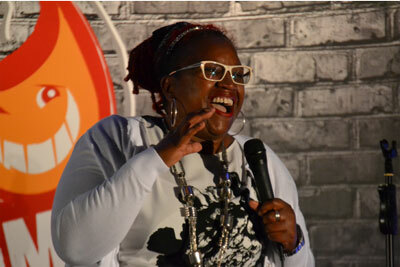 Best-loved as one third of BBC’s award-winning hidden-camera comedy show 3 Non-Blondes, Ninia Benjamin has branched out on her own in stand-up and is already going down a storm. Exuding confidence and natural warmth, her performances are exuberance personified in a style first unveiled in the early 90’s as one-half of the successful female comedy duo, M&N Society, who honed their talents on their home islands of Dominica and Jamaica before heading across the waters to wow punters in the UK and earn themselves the warm-up slot for the seminal BBC2 show The Real McKoy. As a solo act, female comic Ninia Benjamin is already wowing punters from east London to Edinburgh, having stormed the famous New Act of the Year competition at London’s Hackney Empire and then done much the same for the Edinburgh festival. 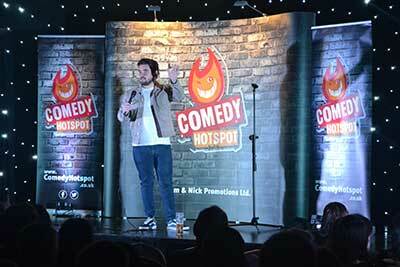 Adam Rowe is widely regarded as one of the most exciting young comics to emerge in recent years. Despite still being in his early twenties, Adam is already one of the most sought after acts, comperes across the country and is fast becoming a huge favourite at all of the UK’s biggest comedy clubs and festivals. His natural, laid back persona combined with is brutally honest, opinionated stand-up and his phenomenal ad-libbing ability make each of his performances unique and gloriously unpredictable, but more importantly; always hilarious. He has had three sell out shows at The Liverpool Comedy Festival (2013, 2014 & 2015), with his venue capacity almost doubling every year due to his growing hometown fan base. Joe Rowntree is a stand-up comedian, actor, writer and presenter. His television career started back in 2001 writing put-downs for Anne Robinson on “The Weakest Link”. He has hosted 2 UK tours of “Brainiac Live” which culminated at the Hammersmith Apollo after appearing in all six series of the award-winning hit Sky 1 show “Brainiac: Science Abuse” and recently recorded “Dave’s One Night Stand” (Dave), which he was a huge hit on TV! Joe has also been a hit overseas in Dubai, Qatar and Bahrain (with the Comedy Store) and throughout Europe and America. 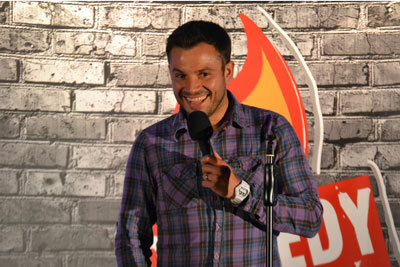 He has supported Rhod Gilbert and Stephen K Amos in theatres on their national tours. Having first performed stand up in 2005, Julian’s brilliant, utterly original and hilarious routines have earned him appreciation, recognition and praise from audiences across the country as well as prominent figures in the comedy industry. 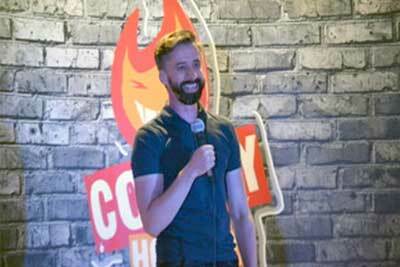 Furthermore, he has proved his talent by winning some of the most prestigious stand-up comedy competitions in the country and is also in big demand as a writer (Mock the Week, Never Mind the Buzzcocks, Morgan Spurlock’s New Britannia) All of this makes him a terrific act with a hugely exciting future ahead of him. comedy_hotspot absolutely cracking funny night made extra fun packed with our friends. 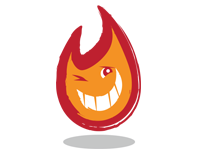 The Comedy Hotspot Team would be delighted to speak with you about anything… but they are particularly passionate about discussing their forthcoming gigs or the potential to host a gig at your venue. 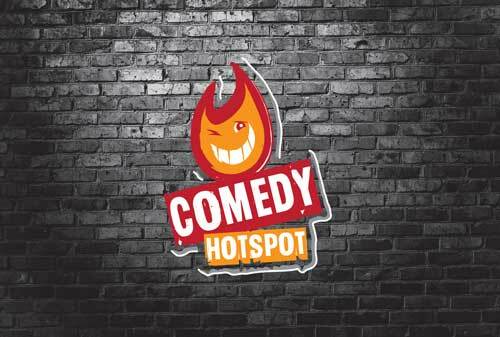 Get in touch with The Comedy Hotspot team today. Who are The Comedy Hotspot? Jim and Nick are the brains behind Comedy Hotspot, what they lack in good looks they more than make up for with their ability to organise top drawer nights of comedy. Congratulations you’re just a couple of clicks away from buying your Comedy Hotspot tickets. 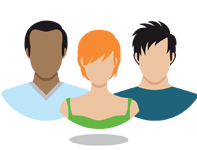 Want to be kept up to date with the latest gigs and special offers? You’re in luck, join the Comedy Hotspot Community today we promise we won’t spam you.